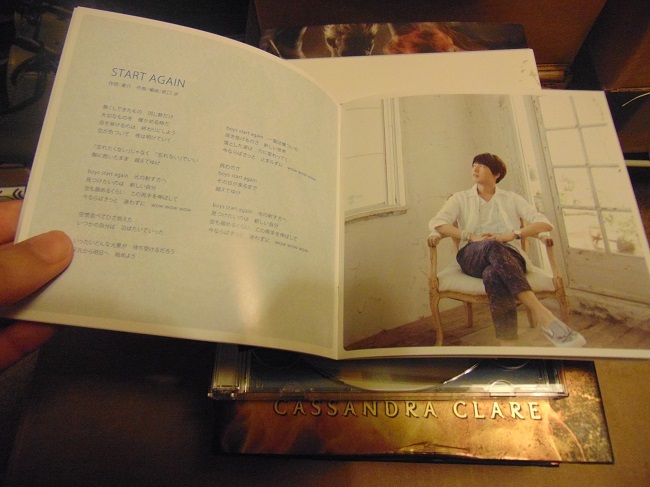 One might wonder what made me want to buy Hiroshi Kamiya’s music. Well, it should be taken into account that I really really admire the voice acting work of various Japanese voice actors and when I heard Hiroshi Kamiya was involved in the music industry. Well, I was heavily curious. I went ahead and checked some music videos of Hiroshi Kamiya’s singing on Youtube and I was impressed considering he’s a remarkable voice actor in anime and then this…singer too! It’s too much. I like knowing those who are actors are also multi-talented in other areas. It adds a further element of surprise! Now onto the music. It’s definitely a mix bag like most music album releases. Filled with some magnificent songs, alright ones, and some outright terrible ones. Start Again is undeniably the most beautiful of them all in Hareyon. Not only does the music let you breath, but Hiroshi Kamiya’s voice is perfectly in sync with it. Almost like he’s one with the music, really thanks to the instrumentation that slowly unfolds with techno flashes that morph into funny glomps and fresh falling scales. It’s so beautiful that this is the song that made me want to buy his music in the first place. A perfect JPop number! The only thing besides this there is only one other magnificent song, 孤独と情熱の焦点. Which is kind of strange since it seems a little darker than what I would expect from Hiroshi Kamiya. It has this palpable Gothic style which is pushed forward by some interesting heavy rumbling Rock instrumentation. As I said, very very interesting. After this look into what Hiroshi Kamiya can potentially do I am hit with wanting to see him do more in this Rock direction. It feels and sounds great! The Hareyon LE contains several exclusive items. 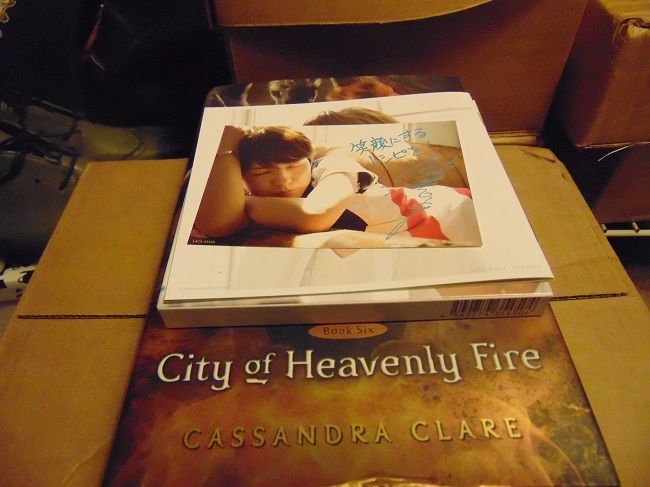 Comes with a booklet, a small photobook, DVD, and a photocard of Hiroshi Kamiya signed by him. As to the songs there is a total of 6 songs. Ikr? It’s so awesome that he can sing too! Yeah, it is. Multi-talented he is! Do you listen to Daichi Miura and Goosehouse? No? Are they voice actors? No haha they’re fantastic jpop singers. Miura especially. He sounds like Justin Timberlake mixed with Michael Jackson. I remember and Turn the Lights off are songs that sound like them he did. He writes his own music and composes his own dances. That he composes his own music sounds great enough and so does that he might have been influenced by Justin Timberlake. Although I honestly listen to a lot of music and think Michael Jackson was merely alright. Not a big fan, but ok I’ll give Miura Daichi a chance. Merely out of your recommendation but really when it comes to music I usually avoid musicians and singers that sound like another previous musician/singer. No problem. I checked out the first video you wanted me to. Off to listen to this second one.